Australia’s homes along the suburban waterfront now carry the most expensive price tags in the country, according to the RP Data-Rismark Stratified Hedonic Index. Homes located within the Sydney’s Point Piper had been considered as Australia’s priciest with a median price tag of $5.21 million across 14 sales over 2011. 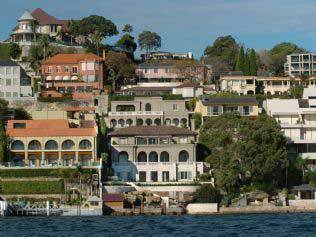 Six kilometres from Point Piper is Tamarama, which is rated as the area as the second most expensive suburban homes near the waterfront. In other suburban locations in Australia, prices have dropped 13.8% in 2011 compared to 2010, although 194 suburbs kept their median house price of no less than $1 million. Coincidentally, property-related taxes were still high during the period and so far among the highest collected by Australia’s local and state governments since 2007. Property taxes in Australia were at record-highs, according to the data released on Monday by the Bureau of Statistics. Over the financial year 2010 to 2011, more than $33 billion in property taxes were paid to state and local governments, accounting for 47.3% of all tax revenues. In spite the weaker property market, the increases in land tax charges and municipal council rates boosted tax collections on property-related transactions. RP Data and ABS indicated that although there is a limited growth in stamp duty on conveyances, which posted 0.3% growth during the period, municipal rates rose 6.9%, while land taxes jumped 4.1%. The state of Victoria recorded the highest increase in the land taxes collected recorded with an 18.7% increase; the Australian Capital Territory had 12.5%; municipal rates rose 8.6% in Queensland, while Victoria recorded an 8.3% increase in this tax category.